Three sheets to the wind, Sheriff Bill Crocker drives home late at night on a country road, swerving into a woman and her young daughter, who sit in a parked car. He knows the law, he knows what’s right, but in a panic—a moment of supreme stupidity—he takes off into the dark. When he gets home Crocker realizes how devastating a hit-and-run will be to his career. But he cannot begin to imagine the aftershocks that will ripple through his community. He does the worst thing he could possible do—he tries to cover it up. 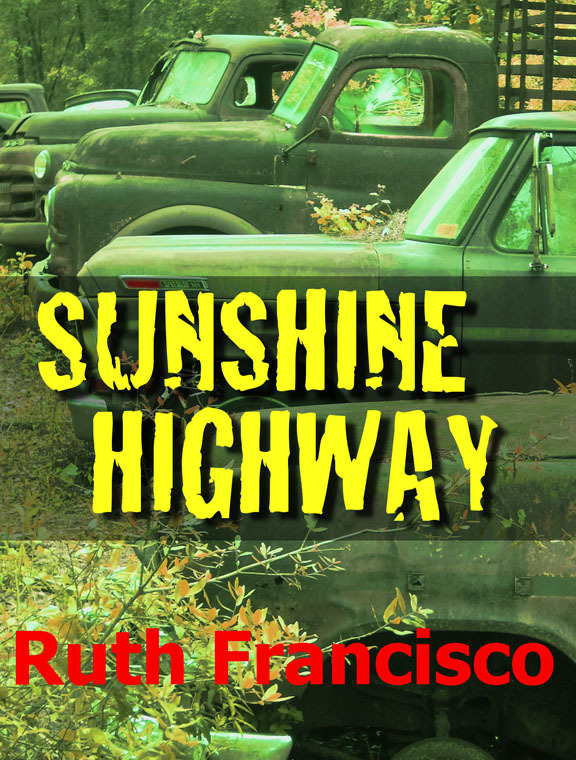 Evocative and poetic, rich with Southern imagery, deep with emotion and humor, Sunshine Highway is an epic saga about the struggle of the South to shake itself free from a painful past to join the twenty-first century. Ruth Francisco worked in the film industry for many years in production, screenwriting, and promotion. Her first book, Confessions of a Deathmaiden was published by Warner Books in 2003, followed by Good Morning, Darkness and The Secret Memoirs of Jacqueline Kennedy Onassis. 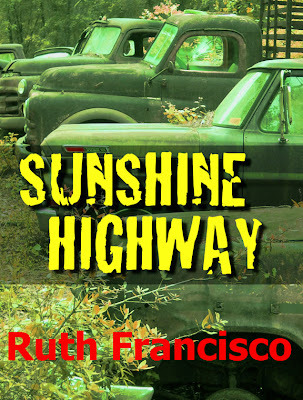 Sunshine Highway is available on Kindle.